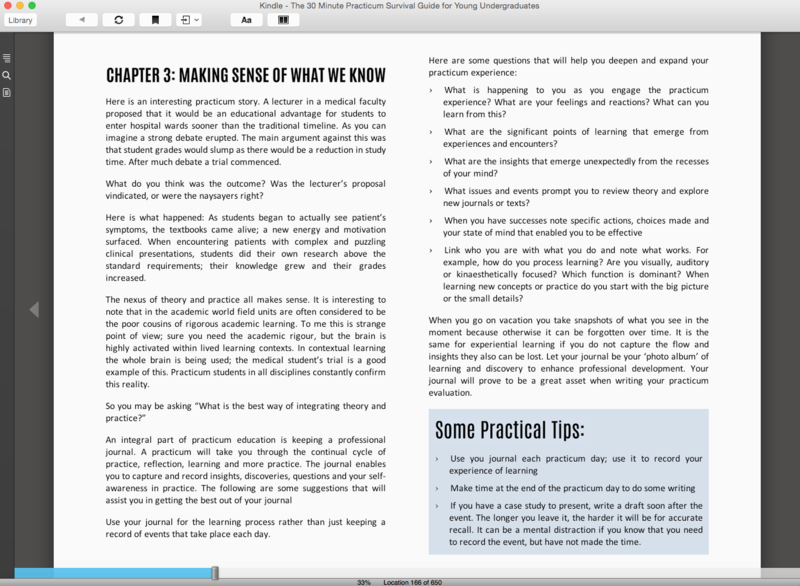 We edited this short book before applying our Ebook Designer’s Touch™. 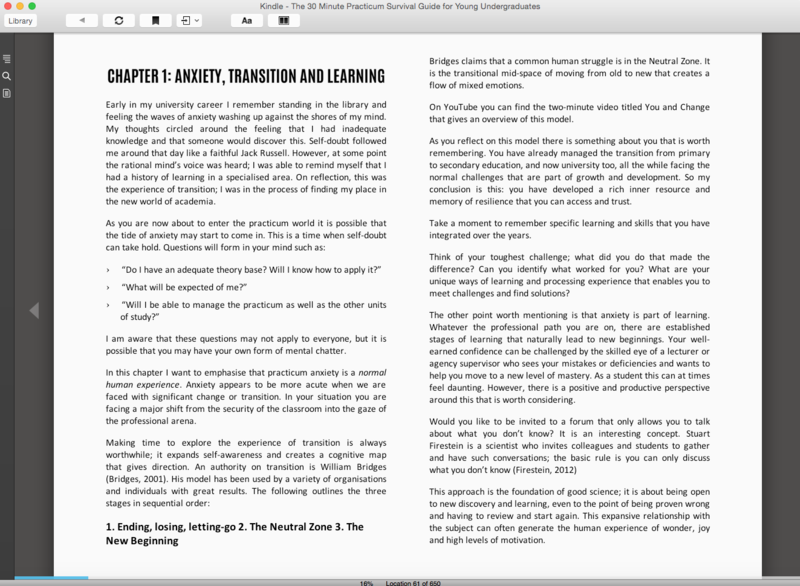 The Ebook Designer’s Touch™ attempted to invoke a professional yet approachable style, as the book is intended for young professionals just heading into their first professional arena. Graeme intends to distribute this book himself on Amazon Kindle, so we converted the book into a mobi for him. After some tweaking to make sure it looked its best on as many devices as possible, the book was ready to hand over to Graeme. We wish him the best of luck. 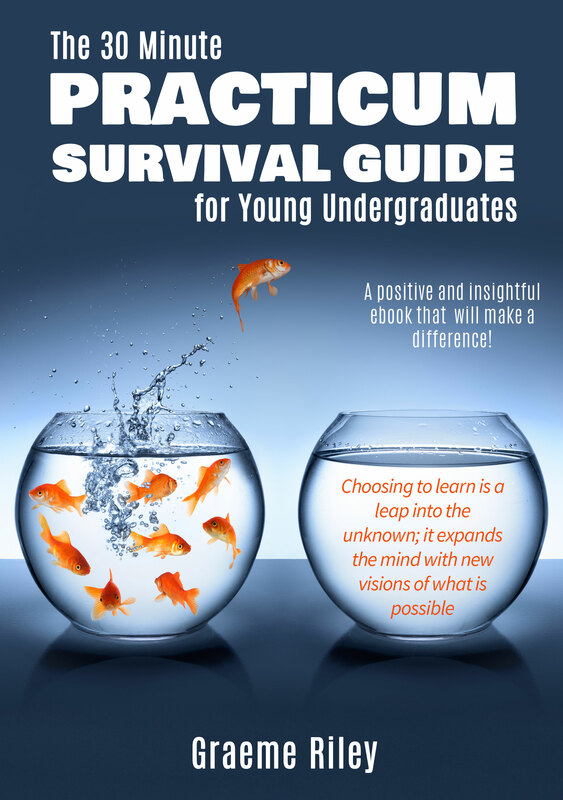 The 30 Minute Practicum Survival Guide for Young Undergraduates ebook has been designed to be accessed easily through your kindle, tablet, or phone whenever you need it, and can be used by students in a variety of educational pathways. 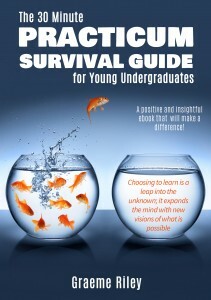 It is a concise guide that will help you prepare and navigate your waythrough the multiple demands of practicum education.